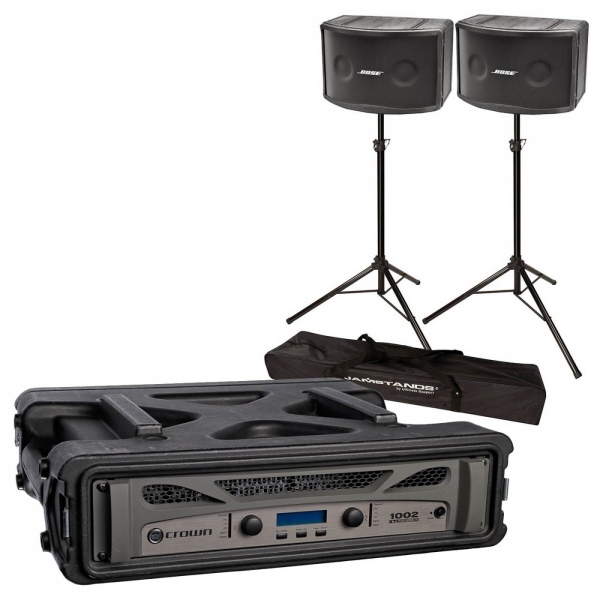 2 x Bose 802 speakers on stands and 500 watt amplifier with 802 equalization. Very compact, high quality system. Connect this to your own mixer with the leads provided. This will easily fit into a small car.